As I am fortunate to have a large number of data analysts and those involved in the behaviour sciences among my LinkedIn contacts, I would like to point out this paper is not intended to bring anything new to the study of radicalization or extremist behaviour. I also feel sure that many of my contacts in this field will put forward various other methods which may be used to collect the same datasets mentioned in this paper. Several years ago, as part of my research into the induction and radicalization process used by AQ affiliates via social media (SM), I spent a considerable amount of time reading academic papers on SM mapping and human behaviour. This information allowed me to research SM, the web and dark web in order to increase my understanding of the drivers associated with violent extremism (VE) and the mindsets of vulnerable people who may be psychologically manipulated to join the extremist cause. It also allowed me to examine and test new theories put forward by various academics. The following is a basic introduction to the subject which is based on the research of others and which I have modified for my own research needs. Furthermore, due to the limited scope of this paper I have not included data associated with demography, gender; or the analysis of text and visual images which are to be found in the ‘extremists’ virtual world of their making. Finally, although I and other members of the Narrative Strategies Team (http://www.narrative-strategies.com/) have a comprehensive understanding of the narrative based drivers associated with VE, I have found the following allows us to examine these drivers working over time and space along with the behavioral changes experienced by some members of the target audience. Virtual social networks, like those found in the ‘real’ world, consist of relationships and relationship building blocks. An examination of this network reveals a combination of relationships which create identifiable patterns of connected people, groups and organisations. As explained later, this virtual social network which appears to allow users to remain anonymous provides a false sense of security where members are willing to express their concerns, frustrations and other personal information which they may not be willing to discuss in the real world. This provides an indication of an individual’s vulnerabilities which may leave them open to psychological manipulation. When one examines the communications between like mined individuals within this network it may first appear to resemble a peer-group support network which by its very nature encourages additional personal information to be shared with ‘like-minded’ people. Accordingly, extremist groomers and recruiters can select suitable individuals who may be radicalized. It is easier to regard social networks as consisting of social entities: actors, distinct individuals, groups and organisations. We must also be prepared to follow these entities as they migrate to or simultaneously use other SM platforms. For instance, Twitter is limited to the maximum use of 140 characters (Tweets) and due to this limitation member who are of interests to extremists are often encourage to join a similar network on another SM platform with less restrictions and/or is considered more secure. Consequently, it is not uncommon to find the same social entities on various SM platforms. Some relationships which are tied to others across the network/s are said to be ‘informal’ because they are not widely known by others entities of the network under examination. For example, on LinkedIn we often find third degree contacts commenting on updates posted by members from outside their network simply because the commentator is connected to one or more of the writers’ first degree contacts. Such entities, in this example LinkedIn members, are often referred to as ‘Muktiplexity’ or ‘Multiplex’ because these individuals are actors with ties to other actors connected to you. I plan to cover this concept in greater detail at a later date during my examination of Russian trolls and the information war. The Two Node Network consists of actors who may not have direct ties with each other but they attend similar events within a community (Mosques, sports clubs etc.) or may regularly visit similar websites. Although there are no virtual or physical connections, this provides an opportunity for prominent actors (Focal Actors) to form a false rapport with members of the Two Node Network and the opportunity to form a ‘weak’ link. The establishment of ‘strong’ links are only attempted after an individual is thought to be of interest to the extremist cause. Egocentric, also called personal networks, tie directly with Focal actors (those with influence, i.e., groomers, recruiters, propagandists etc.) in the network. Hanson and Shneiderman describe this as, “Social Centric or complete network consisting of the relational ties among members of a single bounded community. (Social Network Analysis: Measuring, Mapping and Modelling Collections of Connections, D. Hanson and B Shneiderman, 2010). The examination of networks also allows us to develop what some academics call ‘name generators’ which is simply the names of social entities, in this case people, who frequently communicate with the focal actors. Hanson and Shneiderman call those names generated by the focal actor, ‘the actors alters’. The use of name generators, as advocated by Hanson and Shneidrman, allows for the identification of strong ties across a dense network. To identify weaker ties in more wide ranging networks, acquaintance name generators can be used. Another useful tool discussed by Hanson and Shneiderman, is the Positioning Generator. This allows the researcher to identify people who fill a particular ‘valued’ role or position within the network and therefore have access to a range of resources. These resources may include professional knowledge, or work related experience beneficial to an extremist group. Apart from the same narrative based drivers being used within the real and virtual world, we also find the same methods used to encourage members of their target audience to express their concerns, frustrations, aspirations and how they see themselves. This information is used to psychologically manipulate suitable members within the network and tie them to others with similar mindsets. The linking of suitable individuals within a network will often reinforce these concerns and produce suitable conditions for physiological manipulation. A United Nations report describes this as, psychological manipulation, “to undermine an individual’s belief in certain collective social values, or to propagate a sense of heightened anxiety, fear or panic within a population or subset of the population…” (The Use of the Internet for Terrorist Purposes: United Nations Office of Drug and Crime, NY 2012) It is also widely acknowledged that certain cognitive propensities can combine to create a mindset that presents a high risk of being radicalized (see Drivers of Violent Extremism: Hypotheses and Literature Review, RUSI, 16 October 2015) and it is these propensities which extremists seek to identify within members of the network. Social media has made social connections and networks more visible and open to research. “The internet and its use by terrorist organisations, individual members, supporters and recruits afford new avenues for assessing information about groups and their activities…” (Lorraine Bowman-Grieve, Security Informatics, 2013, 2:9) As Bowman-Grieve says, “individual reasons why people become involved are many and varied, with no single catalyst event that explains involvement.” However, research indicates that involvement is a gradual process that occurs over time and the development of this process, which is driven by narratives and supported by inter-personal bonds that have been created for this purpose, can be examined through social network analysis. By analysing network activities over a period of time not only do we see the use of narratives as efficient drivers towards extremism, we also see the development of identities being slowly formed. This includes perceived victimization and attempts to convince individuals they are victims and linking this to a common or shared identity and the legitimization of violence to address these perceived injustices. We also see the development of dualist thinking which supports the extremist’s’ view of the world, other cultures, religions and western society. In my recent post, ‘Russian’s Increasing Intelligence Activities’, I listed 14 countries in western and eastern Europe where Russia’s intelligence services are making a concerted effort to obtain information. The official threat assessments from these countries clearly shows Russian intelligence officers working under diplomatic cover, illegals or NCO’s (non-official cover) and sleepers continue to operate at a level not seen since the height of the Cold War. Other well-placed commentators also suggest the number of Russian intelligence operations and the resources used to support of these operations far exceed the Soviet Union’s Cold War activities. The Russian Federation, even more so under President Putin, aspires to be a great power, not only through its possession of nuclear arms, but also being among the largest economies in the world. Recognition as a leading scientific nation also supports the claim of great power status. Apart from those countries listed in my previous post (“Russia’s increasing Intelligence Activities”), in 2007 the British government announced that Russian and Chinese intelligence activities in Great Britain was forcing intelligence resources to be diverted away from fighting terrorism. During the Cold War era the Soviet Union’s intelligence services supported large-scale efforts to obtain scientific, technological know-how through overseas operations, and this continues to this day. In order to compete with the west this search for technology is equally matched by Russia’s use of extensive intelligence sources and tools for long-term industrial espionage. Anything providing a military, scientific, political, technological or economic advantage over the western nations is firmly in the sights of Russia’s three main intelligence agencies which often work collectively to achieve this aim. Russia’s attempt to win the information war by dominating the internet and controlling their domestic news corporations; their army of trolls who work 24/7 (See my post ‘Puppet and Puppeteers’) and various reports describing Russia’s aggressive intelligence initiatives, further support claims of an unprecedented level of Russian intelligence activities throughout the world. After examining official reports and statements from various security services who have identified hostile Russian activities, which have greatly increased since Russia invaded Ukraine, we can clearly identify what information Moscow is seeking to obtain. For instance, all fourteen countries have reported attempts to target information on companies and research institutions that deal with energy, finance, media, dual-use technology and defence. There have also been accounts of Russian intelligence attempting to obtain information on military formations, military-civil infrastructures, and other information which may be used to undermine a countries political stability, defence and security; and other prime targets for sabotage in the event of hostilities. Apart from career agents from the SVR (overseas intelligence), FSB (Security service) and GRU (military intelligence) directing operations and acting as agent handlers, success depends on the calibre and large numbers of willing, unwilling and often unaware participants for their operations. The recruitment of ‘clean skins’, individuals who are native to the target country; have no criminal record and are unknown to the authorities, continue to be a priority simply because they are extremely difficult for counter-intelligence officers to detect. From what we know about those responsible for recruiting overseas assets and agent handlers, they are intelligent, sociable, extrovert, find it easy to build relationships and winning trust before turning their targets into informants. If using ‘natural charm’ is unsuccessful they revert to a more aggressive approach- blackmail, financial arm-twisting, threats and false promises. As we have seen in the case of Anna Chapman the ‘honey trap’ is still an effective tool! Although the procedures and resources are in place to recruit and ‘persuade’ suitable individuals, they first have to identify potential agents and then establish what can be used to make them spy against their country. The internet, and in particular social media, has made this easier than it was during the Cold War era. Anna Chapman – SVR agent. Have you ever wondered who those anonymous viewers of your profile are? The majority may be quite innocent: legitimate recruitment agencies or other members who just want to see if you have the required skills and experience before sending an invitation to connect. Others may have more sinister intentions, ranging from troll activities to recruiting intelligence assets. For instance, over two year ago a LinkedIn member openly looked at my profile on several occasions. This was at a time when Russia ‘was not’ invading Ukraine and I was posting real-time information and breaking news on LinkedIn. This information was originating from Twitter contacts inside eastern Ukraine at the time. The profile of this member claimed he was an IT specialist based in Moscow and he spoke fluent English. During this period, when I was relatively new to LinkedIn and my network security was not as effective as it is now, my malware software detected an attempted attack which had been blocked. According to the report generated by this software the attack was from an IP address in Saint Petersburg! It would appear the IRS (internet Research Centre) were not using or had inadequate proxy servers. Several months later, whilst researching the internet for information on current Spetsnaz operations, I came across the photograph of a FSB officer who looked very familiar. According to the accompanying news reports he was a communications specialist who had recently been killed whilst operating with a small group of Spetsnaz troops in eastern Ukraine. Although still inconclusive, I immediately saw a resemblance to the profile picture of the Moscow based LinkedIn member who had looked at my profile several times. Another example of ‘questionable’ LinkedIn activity occurred whilst writing this post. I was emailed by a contact in the USA who is known for their extensive activities against Russian trolls. This ‘troll slayer’ expressed concerns regarding the profile of someone who claimed to be living in England and was not sure whether to accept their connection request. 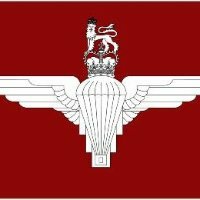 After agreeing to look at this profile it became immediately apparent they had failed to do their research: this individual claims to be serving in the Royal Air force (RAF) but their profile picture is the cap badge of the British army’s Royal Engineers! Apart from having no military connections there are also several inconsistencies in his/her profile. Due to some of the expressions and terminology used, there is also the strong possibility this person is not British. Due to LinkedIn being an extremely diverse professional network which spans almost every country, profiles and other open data relating to the usefulness and activities of members can be examined and, if considered relevant, may be recorded or acted upon. For example, what appears to be an innocent request to link to you may result in you pressing the accept button. Once connected, this new contact is in a position to poach your useful contacts, thus increasing their number of contacts which also results in increased credibility and influence across your network. Also, according to his article, “Over 27,000 people working in the US intelligence community… are listed within a database which has been created simply through ‘mining LinkedIn’.” O’Neill also claims this database, using open data, includes the resumes of people working for intelligence contractors, the military and intelligence agencies. It’s a sure bet this database also contains information about individuals from other countries. Although he does not suggest any Russian involvement, these allegations are interesting because they support many earlier claims that Moscow uses similar software tools to examine Facebook. Consequently, it appears extremely unlikely that Moscow has not recognised the plethora of useful information available on LinkedIn. Apart from potential targets working for government and private industries, there are also undergraduates studying various disciples ranging from history to the sciences, who may be identified as potential long-term assets (see Russia’s Increasing Intelligence Activities). As Russia continues to devote massive resources to support their information war and their army of trolls, it is also likely the FSB are interested in the LinkedIn ‘troll slayers’ in order to see how they may counter their comments and activities. Unlike Facebook and other social media platforms, the trolls using LinkedIn continue to fight a losing battle. Many of us now recognise the tell-tale signs of the many bogus profiles appearing on LinkedIn and a quick internet search often confirms our suspicions. This is particularly true when it comes to identifying Russian propagandists. The problems starts when you come across profiles which pass close scrutiny and that individual wishes to connect to you and your network. For instance, I don’t see anything wrong with the following profile. He has locked his contacts so we can’t see his connections, that’s fair enough. He does not have a profile picture of himself, again that’s not a problem; many members, including myself don’t have a personal profile picture and I don’t consider this to be a problem. If you work in banking or an industry associated with this member’s skills and experience, would you accept his connection request? Comments Off on Russian Intelligence- Have they sent you a LinkedIn invitation? Operation Banner is not only the longest British military campaign it is also one of the most controversial and misunderstood. This is not surprising as most of the facts have been distorted by IRA propaganda and disinformation. As discussed in my post, ‘NORAID- Americas Plastic Paddies’, one of the main misconceptions promoted by the IRA over the years is the belief in the ‘Troubles’ being inseparable from the history of Irish republicanism – a continuation of the fight for Irish freedom and a united Ireland. This could not be further from the truth. The IRA and their supporters deliberately overlook the fact that the majority of citizens living in Northern Ireland wish to remain part of the United Kingdom and this is their democratic right. Apart from this being the case among the Protestant community which represents the majority; declassified Top Secret documents, discussed later, also show that not all Catholics were interested in a United Ireland. Consequently, the IRA never acted on behalf of the people of Northern Ireland, they simply ignored their wishes. The IRA, which represents an insignificant number of citizens living in Northern Ireland, rejected democracy in pursuit of their own political agenda. Segregation along religious lines has always been the major issue in the political and social life of Northern Ireland and this has been the cause and effect of violence. John H. Whyte (Interpreting Northern Ireland, Oxford: Clarendon Press, 1999, p8) illustrates this division by explaining the two factors separating Northern Ireland are endogamy and separate education. Separate schools, he says, resulted in the majority of people up to the age of 18 having no conversation with members of the rival creed and Nick Cohen (Guardian 23 July 2007) described this as ‘educational apartheid’. Whyte also says, employment was also highly segregated, particularly at senior management level. Polarisation as a result of inequality was made worse by the Northern Ireland Parliament, based in Stormont, being dominated for over 50-years by unionists (Loyalists) and its attempts to solve political and social issues such as institutional discrimination against Catholics being regarded as too slow by Catholics and too quick by the Protestants (Loyalists). This, it is widely argued, gave rise to growing tensions and violence between the two communities. After being inspired by the 60’s counter culture and the civil rights movements in America the Catholic community organised a series of peaceful civil rights marches in which thousands attended. These marches were met with violence from the Protestant community and as the number of marches increased so did the level of violence against them. In 1968 Northern Ireland saw regular violence and rioting between Catholics and Protestants with the Royal Ulster Constabulary being attacked by both sides. Over 150 catholic homes neighbouring protestant communities were burnt by Loyalist mobs resulting in 1,800 families being made homeless, and the Catholics quickly retaliated by burning protestant homes. This intercommunal violence resulted in families moving from mixed neighbourhoods to one’s exclusively housing members of their own religion and makeshift barricades, which were manned 24/7 by members of their community, were erected to protect them. This was the start of the so-called ‘No Go Areas’ where no one outside their community, including the Police, were allowed to enter. By the end of the year 19 people had been killed, a large number of police officers had been injured during riots; the community had been totally polarised, violence and arson against homes and commercial buildings continued. Photographs of the period show parts of Belfast resembling the London Blitz. The British Government had no option but to send troops to Northern Ireland, dissolve the Northern Ireland Parliament and rule the province from London. The role of the army appeared straight forward: to remain neutral, to uphold law and order and the rights of the people of Northern Ireland to democratic and self-determination. The British Army was welcomed by both communities and were often served tea and toast by local residents when entering catholic areas. The IRA, who had been totally discredited for failing to protect their communities became known as ‘I Ran Away’ and this was painted on walls within catholic areas. Whilst the army brought a degree of stability to Northern Ireland there was violent infighting within the ranks of the IRA. This resulted in the IRA being renamed the Provisional IRA. This new version of the IRA was not interested in a peaceful Northern Ireland – although the Catholic community had been calling for civil rights, not for the unification of Ireland, the IRA seized the opportunity to use the prevailing widespread hate, intolerance and paranoia to fuel their own political agenda for a united Ireland. From the start of 1971 gun battles with the army and police, the use of car bombs, the bombing of factories and public buildings were increasing each month. On 6 February 1971, 20 year-old Gunner Robert Curtis of the Royal Artillery was shot in the head by an IRA gunman whilst on foot patrol in the New Lodge area of Belfast. He was the first soldier to be killed during Operation Banner. One month later (10 March 1971) brothers John McCaig, 17 and Joseph 18, along with 23-year-old Douglas McCaughey, who were serving with the 1 Battalion Royal Highland Fusiliers, were lured from a Belfast pub to the isolated Brae off the Ligoniel Road by an IRA ‘honey trap’, they were shot dead by waiting gunmen. The soldiers were unarmed. From January to 9 August 1971, 13 soldiers, 2 police officers and 16 civilians had been killed and there had been 94 bomb explosions in July. During a seven month period the total number of terrorist bombs were 311 and this does not include those which failed to explode; more than 100 civilians were injured as a result of these indiscriminate explosions. During one night alone, there were 20 explosions and these coincided with gun attacks against the army and police, and in October there was a two hour gun battle between 30 IRA gunmen and 12 soldiers. 1971 was the start of the shooting war, the indiscriminate bombing of civilian targets and the regular use of car bombs against military and police patrols. However, the worst was yet to come. 1972 was the most violent year of Operation Banner, with multiple attacks against the army and police being considered normal. Many who served during this period remember the sounds of distant gun battles – the metallic sound of the terrorists Armalite rifles, following by the distinctive sound of the army’s SLR’s returning fire, and the rumble of distant explosions. In ‘Bandit Country’ (Remote border regions) the use of IED’s increased. Another indication of the violence of 1972 is the attached document authorising the use of heavy weapons, including the Carl Gustav 84mm anti-tank gun. Loyalist Terror Groups- the main threat to both Northern and Southern Ireland? The history of the Troubles continue to be dominated by extensive reference to the IRA but this is understandable because the organisation took every opportunity to publicise their political agenda through a constant stream of propaganda and disinformation. Due to this publicity many people tend to forget there were only two republican terrorist organisations, the IRA and the Irish National Liberation Army (INLA). Despite representing thirty percent of civilian deaths in Northern Ireland and their attacks inside the Irish Republic, the four main Loyalist terror groups, often referred to as paramilitaries by the press, have drawn far less publicity and international attention than the IRA. Although, by the very nature of terrorism it is always difficult to obtain accurate membership figures, the following are estimates from a number of researchers, including the CAIN project. Out of the two regular expressions used by the media to describe Loyalist terror groups: ‘Paramilitaries’ and ‘Sectarian Death Squads’, the former accurately fits the description of these organisations because they conducted a protracted campaign of sectarian murders. Various groups and loose affiliates frequently drove through Catholic areas and abducted people at random. After taking them to isolated areas they were shot in the head and their bodies left at the side of the road. Loyalists were also involved in random machine gun attacks against Catholics and bombed Catholic pubs. UVF (Ulster Volunteer Force) leader Gusty Spence reflected the attitude at the time, “If you couldn’t get an IRA man you should shoot a tag derogatory term for an Irish Catholic, he’s your last resort…” Although he used the word ‘he’ women were not exempt from being targets. As it is extremely difficult to ascertain whether a person was murdered simply for being Catholic; several researchers cautiously estimate that the UVF alone may have murdered around 500 Catholics. As well as the deployment of sectarian murder squads, the machine-gunning and bombing of Catholic pubs in Northern Ireland with the intention of causing maximum casualties, the UVF also exported their violence to the Irish Republic. On 17 May 1974, four car bombs exploded in Dublin and Monaghan killing 33 civilians, including a woman who was nine months pregnant, and injuring 127. Senior civil servants warned that such a proposal may result in civil war throughout Ireland. Widespread intercommunal violence, they said, may lead to an influx of Irish American volunteers supporting the IRA and members of the Orange orders from Scotland and England joining the Loyalists. They were also concerned that such a decision would provide opportunities for intervention from unfriendly governments such as the Soviet Union and Libya. After listening to these concerns the proposal was dropped. Although these meetings were classified Top Secret, there clearly had been a leak: senior politicians in Ireland were made aware of the proposal and this was met with serious concerns regarding the future security of the Irish Republic. “ … We in the Republic had an important common interest with the Northern Ireland political party SDLP, which was a powerful barrier against the IRA- the openly stated agenda of which at the time was the destruction of the democratic Irish state and the submission by force of an all-Ireland social republic. .. We concluded that the choice lies between British rule and Protestant rule and it was quite clear in our interests to do everything possible – which may not be very much- to try to ensure that the British stay…” (Ibid) Interesting to note the IRA was considered a major threat to the Irish Republic. Stephen Resrorick KIA South Armagh February 1997; holds the tragic distinction of being the last soldier killed in Northern Ireland. The skilful use of narratives continues to be the prerequisite for the successful indoctrination and radicalisation of young Muslims and this is particularly true in the case of vulnerable Muslims who were born and continue to live in western countries. Although a variety of other factors must also be taken into consideration, these factors work in parallel with the radicalisation process based on narratives, which are not purely centred on religion. However, many of these factors are complex and beyond the scope of this post. Without sufficient counter-narratives and the means by which to disseminate them among Muslims who are in danger of being groomed, the Ideology of Daesh and AQ Affiliates will continue to act like an infectious disease of hate. In the war of narratives the violent Jihadists continue to maintain the initiative; resulting in a regular flow of recruits for their cause and the increasing potential for self-radicalisation leading to the so-called ‘lone wolf’. There also remains the high probability of organised domestic terrorism inside western nations. Among the major tenets of extremist ideology is the belief- there are no such things as countries, political institutions or laws. These, they say, are manmade and not ordained by God. For them, the natural order of the world is the worldwide Muslim community. Consequently, by the very nature of their world view there is no such thing as British, American Muslims etc. The indoctrinated see themselves as Muslims whose only allegiance is towards Muslims who share their extremist’s interpretation of Islam. The fully indoctrinated idealists reject their country and only have allegiance to the Muslim community which, by default, is Daesh or an AQ Affiliate. As we have seen in recent years many former AQ Affiliates are coming to recognise the so-called Islamic State as the capital of the Muslim community. Modern extremist narratives influence the genesis, growth and development by transforming the subjective consciousness rather than objective reality. This results in the construction of an esoteric ideological framework providing answers to, and promoting collective action to address the evils of the world as seen by the extremists. The extremist facilitator attempts to employ a variety of techniques that create strong emotional responses, especially emotions which by their very nature feed themselves. This can be particularly powerful when these beliefs, feelings or behaviours are at the subconscious level; such as being part of, or connected with a subject’s virtue belief system: those beliefs that drives conformity of one’s life and conduct to moral and ethical principles. These virtues may include religion, honour, community, family, etc., and have a powerful influence on how people behave, see and interact with society, the world and with other people. Islamophobia, racial discrimination or any narratives which may be perceived as such, continue to be be used and manipulated by extremist propagandists and groomers to create a powerful emotional response to their own narratives of hate which ‘supposedly’ challenge such discrimination. In the case of western nations, their aim is to encourage the belief among young and often impressionable Muslims of being marginalised, socially excluded and their religion being under threat from mainstream society and their governments. A recent account of two female British Muslims who were targeted and groomed by an extremist facilitator and found themselves with what they describe as “powerfully mixed emotions” and, after expressing their concerns to Muslim friends were prevented from becoming radicalised, provides an example of how peaceful and law abiding individuals may be filled with hatred towards their country through narratives which claim to provide the evidence and the solution to the western world which is promoting Islamophobia and killing Muslims. This strategy of provocation is designed to create and maintain the illusion of a world based on Islamophobia. For this reason, according to extremist narratives, it is the religious duty of every Muslim to engage in jihad against the infidels who continue to oppress all Muslims. Since Daesh (the Islamic State) started promoting their war crimes on social media, there has been a dramatic increase in the amount of anti-Islamic content being uploaded to social media and the number of islamophobic blogs continue to increase. Those who are unable to separate the majority of Muslims from the tiny minority who support acts of religious violence and post anti-Muslim content on the internet continue to fuel the paranoia, insecurity and hatred which Daesh and other extremists recognise as being essential for the growth of their organisations: racism and Islamophobia are essential for the indoctrination and radicalisation of susceptible young Muslims. Due to editorial decisions we continue to see one-sided news coverage of Daesh, especially the barbaric atrocities which has become the hallmark of the estimated 100,000* Neanderthals who insist on being called the Islamic State. The graphic accounts of journalists and Christians being slaughtered make powerful stories and the world needs to be made aware of these atrocities, but the world can only fully understand the true extent of their continued war crimes by including the vast numbers of Muslims who continue to be murdered and mutilated. News coverage of Muslims being frequently butchered by Muslims challenge anti-Islamic statements such as, “All Muslims are terrorists”, and Daesh narratives claiming “Jihad is against the infidels, the United States and their crusading allies…” and “We are protecting Muslims…” Factual and balanced reporting would show that the highest number of victims continue to be Muslims being murdered by Muslims. Although extensive research has been conducted by the United Nations and various independent organisations their findings appear to have gone unnoticed by the media. For instance, when you read the UN reports (UNAMI/OHCR, Bagdad: The Protection of Civilians in Armed Conflict in Iraq), you find the common thread in the murder of Muslims has nothing to do with Islam. It has to do with absolute power. It does not matter if you are a Sunni cleric or a Christian woman, your choice is to submit to Daesh or die. If the world’s media was to provide more coverage of crimes against Muslims by the so-called Islamic State (Daesh); this would severely damage their credibility among potential supporters and challenge their narratives of violence and religious purity. The following extracts from a UN report, published in 2014, provides an example of what Daesh consider crimes against their ‘State’ and the appropriate punishments. July 22, a Sunni Imam in Eastern Baquba was killed for denouncing ISIS. August 2, a man from the Salah ad Din province was abducted and beheaded for refusing to swear allegiance to ISIS. August 31, 19 Sunni Muslim men executed in Saadiya for refusing to swear allegiance to ISIS. September 5, ISIS executed three Sunni women in Mosul after refusing to provide medical care to ISIS fighters. Although Sunni Muslims are frequently beheaded, shot, set on fire, thrown from high-rise buildings, hung, crucified and their heads blown off by explosive necklaces; these war crimes are seldom reported. Daesh and AQ Affiliates continues to seize every opportunity to fuel civil unrest which they hope will lead to recruitment and acts of terrorism inside western nations. For instance, on 9 August 2014, an unarmed 18- year-old black man was fatally shot by a white police officer of the Ferguson Police Department in Missouri, a suburb of St Louis. The death of Michael brown and the subsequent civil unrests was seized upon by extremist propagandists to show the United States as a racist country where black people are murdered. The decision of the Grand Jury not to prosecute the officer was used to further promote the belief that black people in America are not protected by the law and may be murdered with impunity. To reinforce the propaganda value, they suggested their views were supported by non-Islamic independent sources by using extracts from the Russian and Hungarian press who had heavily criticised the Ferguson shooting. To further project the illusion of the United States as being inherently racist and ‘ungodly’ , they used the birth right debate which was illustrated with altered photographs depicting President Obama and his family as monkeys, to claim that even the elected President and his family we not immune from racial abuse. In stark contrast, Daesh published photographs of their fighters to illustrate their multi-ethnic composition. A professional quality photograph showing black, white and Oriental jihadists, was accompanied by the message “All are equal under the Islamic State, unlike the widespread prejudices of the United States”. Pamela Geller, who runs the ‘American Freedom Defence Institute’ and the ‘Stop the Islamisation of America’ organisation, is known for her anti-Islamic writings. According to the Southern Poverty Law Centre, Geller and her organisations are hate groups which publishes and promotes a “collection of paranoid delusions and distortions…” (loomwatch.com) With 140,000 Facebook fans she is clearly getting her message across. Whilst academics and counter-terrorist specialists attempt to find ways of countering the violent narratives from Daesh and AQ affiliates which encourage others to embrace their ideology and fight in the name of jihad, Geller’s writings and speeches not only reinforce the validity of these narratives but also cause resentment, insecurity and perceived marginalisation among Muslims living in the US and Europe. As I have already illustrated, the perception of insecurity and marginalisation as a direct result of Islamophobia is the major driving force for the radicalisation of young Muslims. Consequently, due to ignorance and her anti-Muslim writings she is inadvertently helping to create the ideal psychological conditions for jihad inside the United States. Furthermore, her writings and public statements give credibility to Daesh and AQ narratives which often divide the world into them and us- Muslims and those bent on destroying Muslims. As I live in England and I know people living in France I can categorically say this fabrication is little more than scaremongering. On 10 March 2011, Geller told Fox News, “Islam is not a race. This is an ideology. This is an extreme ideology, the most radical and extreme ideology on the face of the earth”. Notice that her attack is against Islam, not extremism. On several occasions Geller has also said she only likes ‘secular’ Muslims because the last chapters of the Koran are violent! Another oxymoron. The four suicide bombers blamed British citizens for their government’s policies in the Middle East simply because they had elected the government. It is clear from their statements that they truly believed that Islamophobia both at home an overseas was a powerful motive for attacking their country. After reading numerous anti-Muslim blog entries and quotes from Geller, not only have I come to the conclusion this self-styled expert is grossly ignorant and a bigot, I also regard her as a disgrace to the British, American and coalition Muslim veterans who served in Iraq and Afghanistan, and the estimated 8,000 Muslim translators of which 375 were killed whilst working with coalition forces. There are currently two major information wars taking place against the western nations which are predominantly NATO members. Russian propaganda and disinformation which is accompanied by the Kremlin’s army of trolls. This problem is well documented and continues to be countered by the dissemination of factual evidence. The other, which is proving far more difficult to address because the objective is to encourage a violent knee jerk reaction through the use of mythology, conspiracy theories, historical revisionism as well as propaganda and disinformation, are the powerful narratives from Daesh and AQ Affiliates. These narratives, which continue to flood the internet, are designed to have a profound psychological effect on their target audience, which mainly consist of young Muslims and non-Muslims, who feel disenfranchised and are vulnerable to skilful manipulation. One only has to look at the numbers joining the extremist ranks over the past years to see the effectiveness of this intense psychological campaign. Much continues to be written and discussed about the extremist’s twisted view of Islam but we must ALWAYS REMEMBER this interpretation is REJECTED by the majority of Muslims throughout the world, and many Muslims are actively attempting to stop young Muslims being indoctrinated into this violent ‘cultist’ belief as well as de-radicalising those who have been groomed. I agree with the argument that young Muslims should be guided in their religious education and every effort should be made to counter the violent jihadist interpretation of their faith. However, whilst organisations like Daesh, Al-Shabab, Boko Haram and other AQ Affiliates preach religious hatred towards unbelievers (Including Sunni Muslims who reject their interpretation of Islam) it is easy to lose sight of the fact that the extremist’s interpretation of Islam is simply a by-product of an extremely powerful human emotion which generates hate and this manifests itself into the need for revenge, and the deep-rooted and ‘unquestionable’ belief that violence is not only morally acceptable it is also a religious duty. Extremist ideology: the belief in an alternative form of Islam based on violence and the creation of a modern Islamic Empire to protect all Muslims, I argue, is the by-product of ‘perceived’ Islamophobia on a global scale. This has allowed extremist facilitators and their leadership to create the illusion that Islamophobia has been endorsed by the western nations and the ‘misguided’ apostate’s – Muslims who do not follow their interpretation of Islam and Muslim countries friendly with the west. After examining martyrdom videos, statements from suicide bombers and their supporters we see a common thread: an extreme hatred towards the western nations and anything which does not fit their brand of Islam; the belief that the non-Muslim world wishes to destroy Islam; all Sunni Muslims have been corrupted by non-believers and have to be guided along the ‘true’ path of their religion. Furthermore, extremist ideology, I argue, is the by-product of induced delusions and paranoia: the unshakeable belief that Islamophobia threatens the very existence of Islam and through these paranoid delusions the Islamic State is seen as the foundations on which to build a modern Islamic empire which provides security against the prejudices of non-Muslims, and Islamic education for those Muslims that have been corrupted by western ideas. The works of people like Pamela Geller and others who promote Islamophobia continue to inadvertently support the violent narratives of the extremists- they provide the ‘unquestionable’ proof that all Muslims are under threat form the ‘crusader’ nations and their version of Islam which calls for violent Jihad to save all Muslims is the only solution. As Ms. Geller is a member of LinkedIn she may have read this post or one of her contacts may have brought it to her attention. As I also believe in democracy and freedom of speech I would like to provide you with an opportunity to comment on my views regarding your published materials and the organisations you represent. If interested, I suggest you reply using a LinkedIn post as this will allow myself and other members to make comments or reply by uploading additional posts on the subject. Before you ask, I am NOT a Muslim- I am someone who simply understands the problems and maintains an unbiased attitude! As the world’s media concentrates on Russia’s bared teeth of conventional war- stories of Russia’s nuclear weapons, military incursion into NATO airspace’s, provocative muscle flexing through their land and sea exercises; Russia’s ongoing propaganda element of their ‘Hybrid’ war is seldom reported. Kremlin controlled radio, television and the printed press remain dominant players in Russian life, they greatly shape public opinion and are used to reinforce resentment of the west – all socioeconomic problems are down to NATO and the western nations, not Russia’s failed oligarchical political system. The Sputnik News Channel which is used to spread Russian propaganda has begun recruiting Estonian journalists, and the state owned RIA Novosti along with the Kremlin’s international radio station, Voice of Russia, has been replaced by Russia Today. It has been widely suggested that the restructuring of Russia’s television and radio networks is linked to their coverage of the anti-Putin protests in 2012, and concerns that Russian journalists support Putin’s opposition. Apart from controlling all news services throughout Russia the Kremlin has also been quick to recognize and fully utilize the power of social media to win over young Russians. VK, which was originally named VKontake, is the largest Russian social network and is available in 17 languages. Launched in 2003, by 2006 it had a revenue in excess of $(US) 121.4 million and by 2012 had over 209 million users. Once owned by Maluru.org, this popular social network for users living in Eastern Europe is now owned and controlled by the Kremlin. Long before VT started to be used as a propaganda and recruiting tool by the Kremlin, this network had always been popular among Russia’s Neo-Nazi movements, who now encourage members of Russia’s armed forces to join their social networks. Here they openly share their political views based on patriotism, expansionism and Nazi ideology. Apart from constant streams of violent Nazi rhetoric based on Russian nationalism, hatred of Jews, and promoting Russia’s glorious past, many of the account holders who regularly contribute to these pages are either fighting in Ukraine or have recently returned from the conflict. For instance, Arseny Sergeyevich Pavlow, also known as ‘Motorola’, a platoon commander of the Sparta Battalion, is a regular contributor. After a cursory examination of VT we find many so-called ‘Freedom Fighters’ discussing their combat experiences in Ukraine and posting graphic images of their activities. As many of these combatants say they are not serving in the Russian Army and admit to being Russian citizens they can only be regarded as mercenaries. Since the start of the Proxy war against Ukraine there has been a dramatic increase in the number of account holders living in Russia. Putin and the Russian controlled media take every opportunity to show him as a masculine, aggressive, no-nonsense, strong leader. Although such imagery is widely seen as humorous in the west, his deliberate poses and photoshoots continue to go down well with his supporters, especially the military and Neo-Nazis. Such images will be found on VT, Facebook, Twitter and other social media networks, alongside comments about his strength of leadership and capabilities of restoring the Russian Empire. Some western observers continue to see the escalating violence in Yemen, the poorest country in the Middle East, simply as another country engaged in an expanding civil war which is complicated by home-grown rivalries based on tribal loyalties and religious sects. I, on the other hand, see this conflict as a continuation of what some communicators have described as the “Saudi-Iran Cold War”. Apart from the dangers of a proxy war between the Gulf States and Iran that could last for many years, extremist groups, in particular al-Qaeda on the Arabian Peninsula (AQQP) and Islamic State in Yemen (ISY) have begun to use the confusion surrounding this conflict to increase their hold on the region and, in the case of AQQP, see opportunities to increase their capabilities to engage in international terrorism. Some western analysts believe that Iran, as well as their close relationship with the Shia- Houthis, also covertly support and influence anti-establishment groups and maintain close ties with members of the Al-Hirkak al-Janoubi, or the Southern Movements, which is a coalition of groups wanting to divide Yemen along the pre-unification lines. Many of the Houthis slogans, recently posted on walls across streets in Sona, appeared to be Iran inspired political chants from the 1979 Iranian revolution which expressed their revolutionary world view. Slogans such as, “God is great. Death to America. Death to Israel. God curse the Jews. Victory for Islam” not only mirror the beliefs of the Iranian revolutionaries but also indicates that the current crisis is not simply a civil war addressing local grievances. Saudi Arabia share common concerns with Israel in that Iran, to varying degrees, continues to control four regional capitals: Beirut, Damascus, Baghdad; and now Sana, the capital of Yemen. Apart from the fears of Iran increasing instability throughout the region and encouraging rebellion, control of Yemen, due to its geography, would give Iran a major geopolitical advantage. Whoever controls Yemen also controls the Beb el-Mandep shipping lane which connects the Red Sea with the Gulf of Aden, and Arabian Sea. Through this vital gateway an estimated 3 million barrels of oil pass daily (5% of the world’s oil) to Europe, Africa and United States. The security of this gateway is also essential for Israel’s access to the Indian Ocean via the Red Sea and their submarine operations to the Persian Gulf which is regarded essential for Israel’s defence against Iran. The potential dangers to shipping was made clear in 2000 when AQ suicide bombers attacked the US destroyer, USS Cole, killing 17 sailors. However, we are no longer looking at suicide attacks which cause minimal damage to shipping, whoever controls Yemen will also have access to missiles capable of hitting any ships in the Beb el-Mandep. Apart from AQAP concentrating on seizing and holding tribal territories in Yemen, and periodically using suicide bombers to attack the capital, Sana, they have also been involved in international acts of terrorism. AQ Extremists based in Yemen have successfully smuggled explosives onto international flights and in January 2015, claimed responsibility for the attack on the offices of the satirical magazine Charlie Hebdo in Paris. We have also seen AQAP gain more support since the Houthi takeover, reflecting fears among Sunnis and thus aiding recruitment to the ranks of the extremists. Apart from AQAP using Yemen as a secure base of operation, on 20 March the Islamic State announced their arrival in Yemen through the use of four bomb attacks on mosques popular with Houthi supporters, killing more than 130 worshippers. Due to local and international players, this seemingly regional conflict has global implications: Iranian attempts to destabilise the region and increase their influence through proxy wars; the Shia Houthi rebels supported by Iran, Sunni tribes being increasingly encouraged to join al-Qaeda, the arrival in Yemen of the Islamic State, and the security of the Beb el-Mandep shipping lane. Iraq- Another Sphere of Iranian Influence? Although there continues to be accounts of Iraqi security forces making increasing military gains against the Islamic State Group, many of the successful campaigns have been fought by a number of Shiite militias loyal to Tehran, the Iranian Revolutionary Guard and their Special Forces branch called the Quds Forces (alternatively spelt Qhods or Qods). It is also known that all forces, both Shiite and Sunni, are commanded and advised by Iranian officers and they report to Major General Qasem Soliemani of the Iranian Revolutionary Guard and Commander of Quds Forces. This is the Special Forces section of the Iranian Revolutionary Guard whose members are known for their military skills and commitment to the Islamic Revolution. This elite force is responsible for all extraterritorial operations and reports directly to the Supreme Commander of Iran, Ali Khamenei. Although this is a covert force, well-placed commentators say Quds Forces consist of combatants, military trainers, those responsible for overseeing foreign assets, politics, sabotage and intelligence gathering. In 2004 Quds Forces Headquarters was moved to the Iranian- Iraq border to monitor events inside Iraq and it soon became clear that political instability, tribal friction and a breakdown in Iraq’s internal security capabilities made the country vulnerable to Iran’s superior military forces, subversion and political intimidation. The steady advance of the Islamic State of Iraq and Levant into Northern Iraq provided Tehran with the excuse to ‘assist’ Iraq in expelling these extremist insurgents. Initially, a small number of military advisors from Quds Forces provided military training and small arms to various Shiite Militia groups know to be friendly towards Iran, Iranian airstrikes on extremist positions soon followed which coincided with more Iranian forces and members of Hezbolloh training and advising an increasing number of militias. As the Islamic State of Iraq and Levant (later called Islamic State) made further advances across Iraq, communities throughout the country became aware of the mounting atrocities and recognised that government forces were unable to stop their advance. Due to this increasing threat from extremist insurgents, many of the tribal combatants came to the obvious conclusion they could not rely on the Iraqi Security Forces for their country’s defence and saw Iran as their only option. This allowed Iran to seize the opportunity to increase their military and political presence in Iraq. Consequently, Tehran can argue that not only was military intervention essential in order to secure their borders, this intervention was as a direct result of ‘popular’ demand from the Iraqi people! Although Iranian involvement in Iraq is not reported by the state owned media, some Iraqi officials have been more forthcoming when speaking to the western media. On 23 March 2014, Iraq’s vice president Iyad Allawi told various journalists, including Sky News, “Iran’s role, doing what they are doing, and sending officers to fight and lead is not acceptable”. He also declared that Baghdad is becoming the capital of the Persian Empire. Iraqi officials and members of Sunni communities continue to complain and express concerns about pictures of Iran’s supreme leader Ali Khamenei being plastered on walls throughout the country. “The posters of Khamenei sends shivers up my spine and there will be a high price to pay for Iranian involvement … The failure of this country means the failure of the whole region…” Allawi told western reporters. The stability of the entire region now hangs in the balance as Iran increases its influence by filling Iraq’s political vacuum, and proving the countries’ security needs. There is a real danger that the whole or parts of Iraq will become another proxy state, an informal extension of the Persian Empire. Comments Off on Iraq- Another Sphere of Iranian Influence?